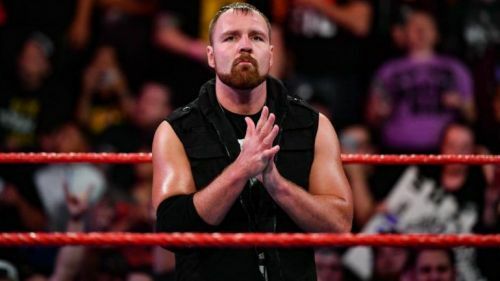 Dean Ambrose turned his back on his former Shield brother Seth Rollins last month. It was speculated that he would interfere in the Rollins/Nakamura match since he wasn't scheduled to be on the card at Survivor Series. But that wasn't the case as Seth eventually pinned Nakamura clean for the win. The announcement backstage after the match was that Seth would actually be taking on Ambrose at TLC for the Intercontinental Championship. This could've been booked a lot better to be honest. Have Dean distract Seth and let Nakamura win with a roll up, insinuating that he took the easy way out (like heels do). A brawl breaks out between Seth and Dean, back and forth. It spills into the backstage area. The show continues and later on in the night, have Seth come up to Stephanie saying "I want him! I want Dean at TLC! Put the title on the line, do whatever you have to do! I WANT DEAN!" Of course, since everything can't always go our way, we have to deal with what we get and enjoy it for what it is. It will be interesting to see if Seth will drop the title to Dean at TLC. It's been a while since they've had a match and it will be lots of fun watching them square off again. If this reignited rivalry is anything like it was in the past, it'll be a thing of beauty. It's speculated that the original target for the Dean Ambrose heel turn was Roman Reigns. Unfortunately, Reigns is fighting Leukemia currently so it's really interesting seeing things come full circle for the Ambrose/Rollins rivalry. With Rollins being the heel the first time, the roles are reversed this time around with Rollins as the babyface. While it would've been extremely entertaining to have Dean interfere in the Rollins/Nakamura match, maybe it was better that it had a clean finish. Especially since it's Seth Rollins and Shinsuke Nakamura. They had never faced each other before and WWE creative probably wanted to give the match it's proper justice. Also, the match was great! 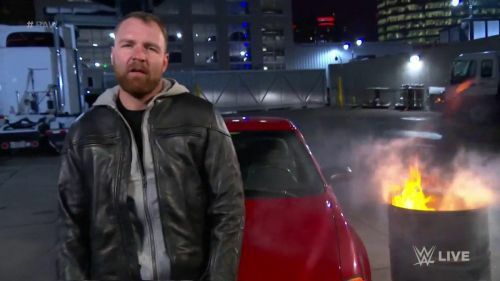 Don't worry Dean, you'll have plenty of opportunities to show us your new-found heelish ways.